So you’ve finished binge-watching the latest season of Orange is the New Black. Now what are you going to do while you wait for season five to clear up that cliffhanger? Netflix’s most-watched series was inspired by a book—Piper Kerman’s memoir. But that’s not the only book about women’s incarceration. While waiting for the next season, check out these five books that take a deeper dive into women, criminalization and incarceration. “It was easy falling in love with a drug dealer. 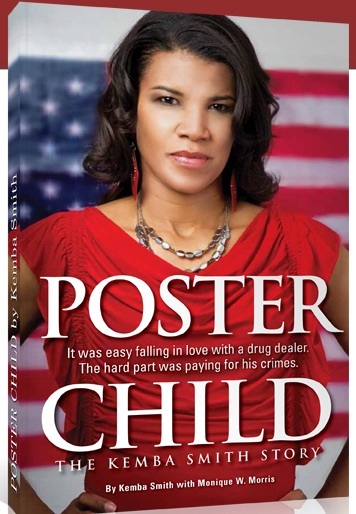 The hard part was paying for his crimes.” That’s the blurb on the cover of Kemba Smith’s Poster Child. In 1990, Smith was a college student when she met and fell in love with a major figure in a crack cocaine ring. Their relationship quickly turned abusive and, for the next four years, she found herself increasingly cut off from her family and support system while being pulled further into her boyfriend’s business, including the investigation and case federal prosecutors were building against him. When he was fatally gunned down, prosecutors zeroed in on her. Smith found herself behind bars, giving birth under the watchful eyes of jail guards before while her leg was chained to the hospital bed. She was ultimately sentenced to 24 ½ years in federal prison with no chance for parole. Six years after she entered prison, Smith won what might be considered the prison lottery—President Clinton granted her executive clemency, drastically reducing her sentence and allowing her to go home. 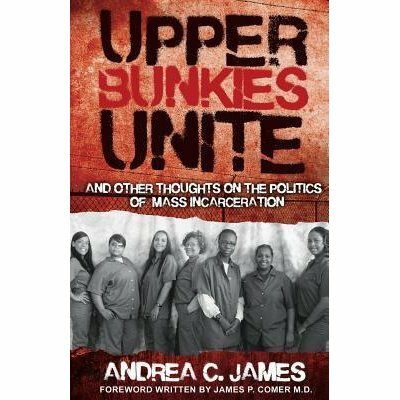 Andrea James served her sentence at the federal prison camp in Danbury, Connecticut, the prison that the fictional Litchfield Penitentiary is modeled after. But unlike in the Netflix series, James isn’t trying to be funny. She may poke fun at herself for being unable to master the art of microwave cooking, but the book she wrote during her time at Danbury is serious. She details the real-life devastation of mass incarceration, like being separated by thousands of miles from families and grieving the deaths of their children and loved ones from behind prison walls. She also digs deep to find the policies and entities fueling these destructive practices. James is also a co-founder of Families for Justice as Healing, an advocacy organization which started in the prison year. In 2014, the group organized the FreeHer rally in Washington, DC, to demand an end to mass incarceration. On Orange Is the New Black, Laverne Cox plays Sophia Burset, Litchfield’s sole trans prisoner. The role has catapulted the existence of trans people (both in and out of prison) into pop culture and media consciousness. Want to know more about trans people and criminalization? 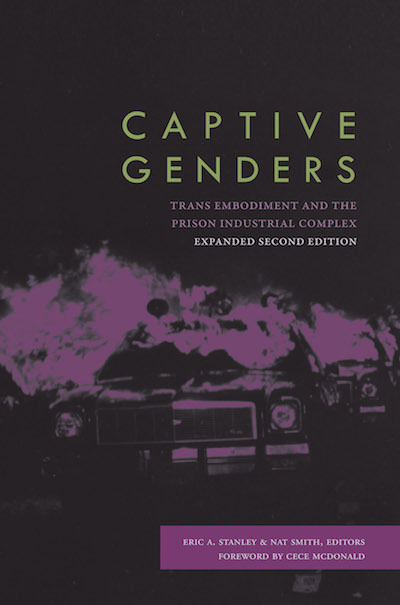 Through a mix of articles, interviews and personal essays ranging from the policing of trans and gender non-conforming youth in the 1970s to the more recent imprisonment of CeCe McDonald and Chelsea Manning, Captive Genders challenges readers to recognize the criminalization of trans and gender non-conforming people, question the systems of oppression that send so many people to prison, and mobilize to chip away at these systems while providing concrete support to those trapped within. Immigration and deportation don’t come into play in the fictional Litchfield Penitentiary. 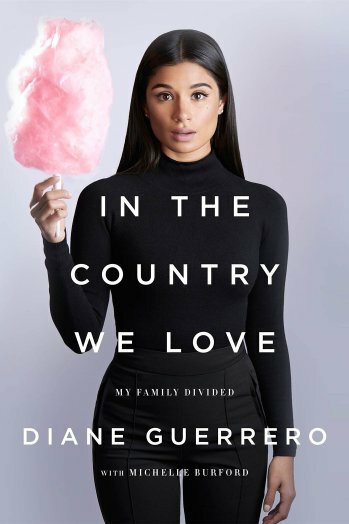 But given the Supreme Court’s deadlock around Obama’s immigration policies, Guerrero’s recently released memoir should be on the reading list of every OITNB fan. Guerrero, who plays the spunky Maritza Ramos, describes a childhood spent with parents who are undocumented. When she was fourteen, Guerrero came home to find the lights on, dinner half-prepared and her parents gone. She soon learned that they had been snatched by immigration authorities, placed in detention and, shortly thereafter, deported to Colombia. Their detention and deportation left the teen to fend for herself and navigate adolescence and early adulthood. Rarely do we hear about what happens to women inside immigrant detention centers. Even more rarely do we hear these stories from the women themselves. Kassindja spent 16 months in immigrant detention after applying for asylum in the United States. What she describes during her 16 months in immigrant detention is nothing short of horrifying. But she doesn’t present these as an anomaly—her memoir also includes facts and statistics that place these horrifying realities in the context of American racism. For instance, while in detention, Kassindja had assumed that because all of the immigrants around her are people of color whites people did not have immigration issues. In reality, however, white immigrants facing deportation hearings or asylum proceedings are far more likely to be allowed to stay outside of prison while awaiting their hearings. Unlike many people in detention, Kassindja was about to find legal help. She befriended law student Layli Miller Bashir, who became a fierce advocate and helped secure Kassindja’s freedom. 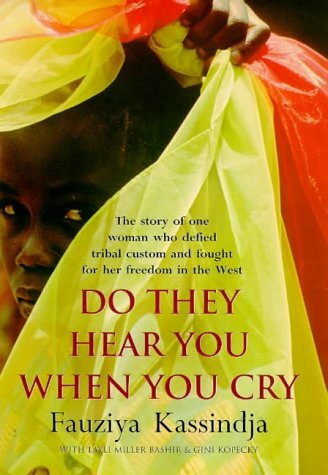 Do They Hear You When You Cry outlines the media exposure strategies they used, demonstrating then (as now) that one can’t rely on the government to stop institutional abuse, but that public opinion and media exposure can shame officials into doing so. Walidah Imarisha's book "Angels With Dirty Faces" is a personal examination of the prison system.